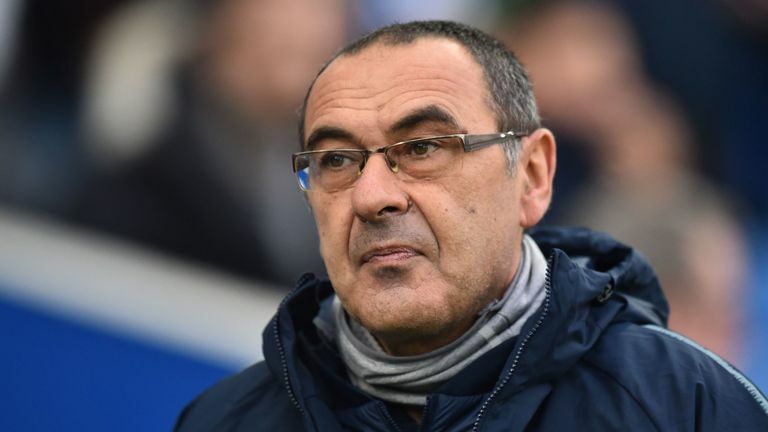 Maurizio Sarri has been unfairly criticised this season and needs time and trust to succeed at Chelsea, according to Jimmy Floyd Hasselbaink. The Chelsea head coach was appointed at Stamford Bridge last July and became the first newcomer in the Premier League to go unbeaten in his opening 12 matches. However, results since then have been inconsistent. Chelsea head into their Sky Live meeting with Manchester City on Sunday 12 points behind the leaders and fourth place in the table, but Hasselbaink does not believe the Italian deserves some of the negative comments thrown his way. "I think the criticism is a little unfair towards him, he had a really good start to the season," he told Sky Sports News. "He has put Kante in a different position because he sees that position in a different way and that is where it [the criticism] started. Whatever you say, Kante is the best defensive midfield player at winning the ball back, so that has raised eyebrows. "He believes in his way. He believes in playing football in a certain way and that is dominating the ball in possession. That is how he believes Chelsea is eventually going to win titles and cups. Chelsea became the first team in over 18 years to lose a Premier League game by a four-goal margin - against Bournemouth - and win the next by a five-goal margin - against Huddersfield. Results away from Stamford Bridge have been a concern at times this season, and Hasselbaink suggests that is a problem Sarri needs to address. "At the moment they are really inconsistent and they need to get that consistency of winning games again," the former Chelsea striker added. "They are going through a bad spell and nobody would have thought they would have lost against Bournemouth in that way. It's a difficult moment for Chelsea when they are playing away and still having that style of play. "They are making chances but they are not scoring the goals and hopefully that can change now with Higuain. Can they now go to the next level? That is the question."